The Multitec® BioControl is a unique measuring system comprising a fixedstationary unit and a mobile gas measuring device. It is used in small to medium-sized biogas plants, landfills, wastewater treatment plants and composting plants. 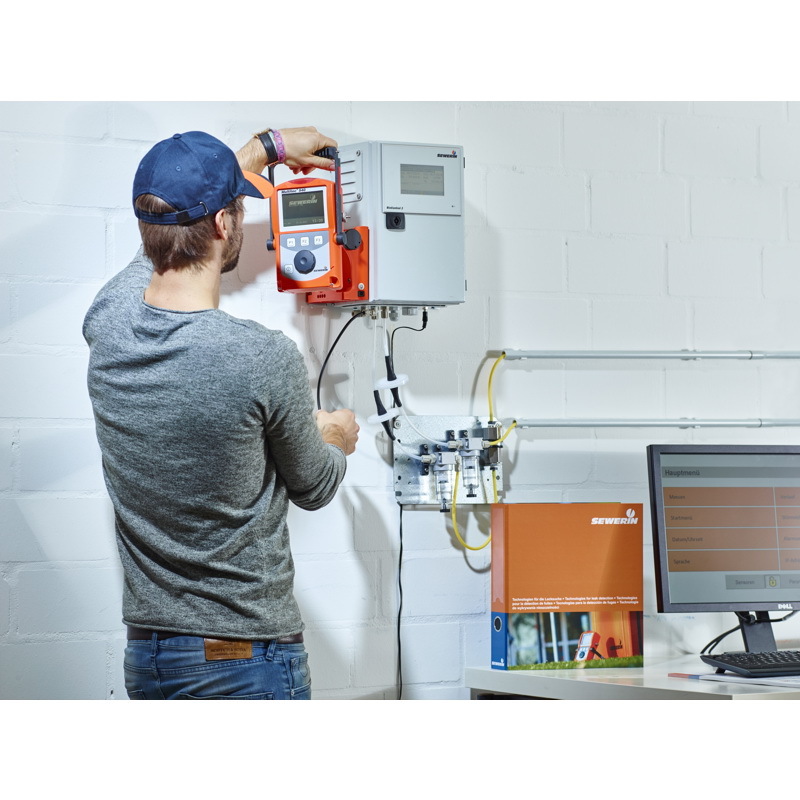 The stationary BioControl 2 automatically monitors and records the gas quality continuously and conveniently at a maximum of two measurement locations. 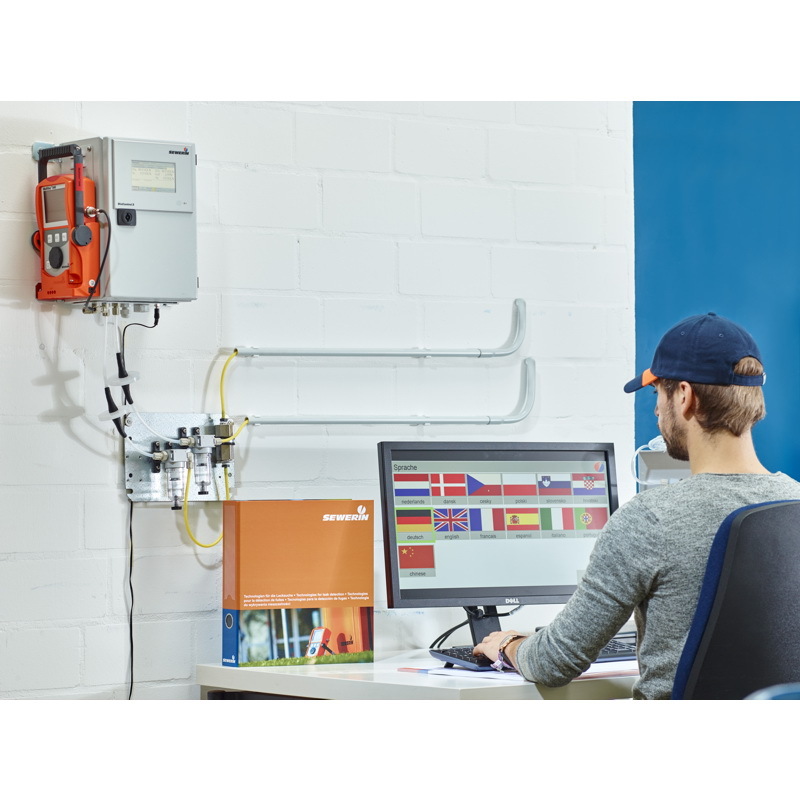 The mobile gas measuring device, either the Multitec® 540 or the Multitec® 545, can also be used to manually calculate measurement values anywhere in a plant. Simply remove it from its docking station and connect it to a measurement location. When it is replaced in the docking station, the protocols are sent to the BioControl 2 and displayed. With its two fixed measurement inputs, the BioControl 2 meets all the main measuring demands of small to medium-sized plants. For example, it can continuously and reliably monitor the gas quality at the motor and the raw gas composition. The user can individually configure the BioControl 2 to the relevant area of application and demands. The measurement locations and cycles, save intervals, limits and alarm thresholds can be customised according to the application. The BioControl 2 is non-wearing and low maintenance. It is calibrated and adjusted automatically with test gas (optional). The Multitec® 540 / Multitec® 545 can be easily removed from the docking station and easily posted or transported for servicing. Sewerin can provide a replacement device to allow continued operation without interruption. The Multitec® BioControl system is user-friendly and can be customised to the operator’s needs; it also offers all the necessary standard functions and a high level of safety. 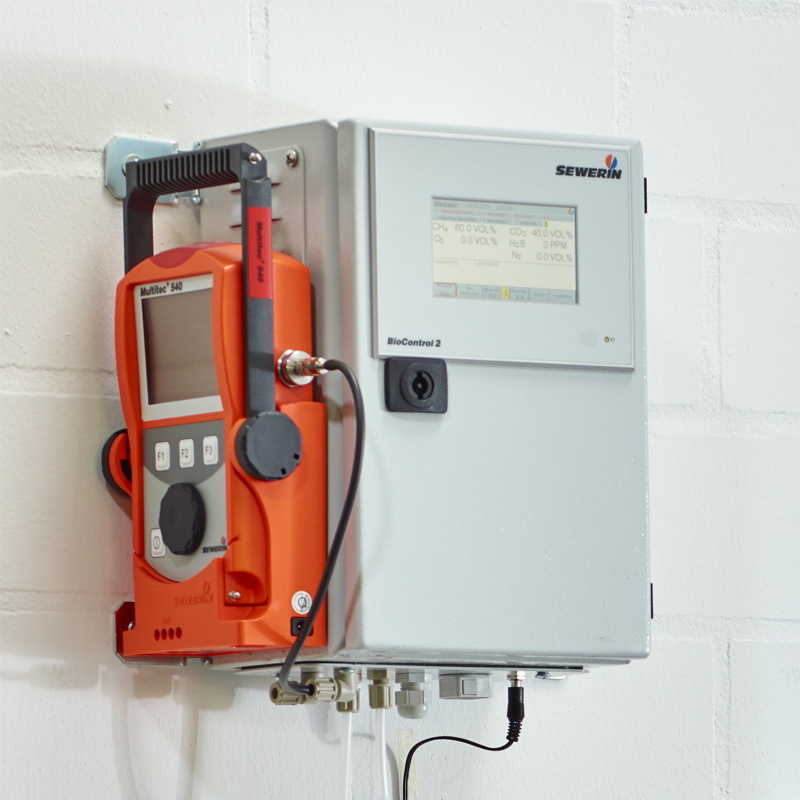 The combination of stationary base unit and mobile gas measuring device thus offers a cost-effective and easy switch to automated process optimisation and control.